Showing he has the skills to win under any circumstances, Anthony Gangi Jr. would again walk away the victor in the ROK Cup USA series. 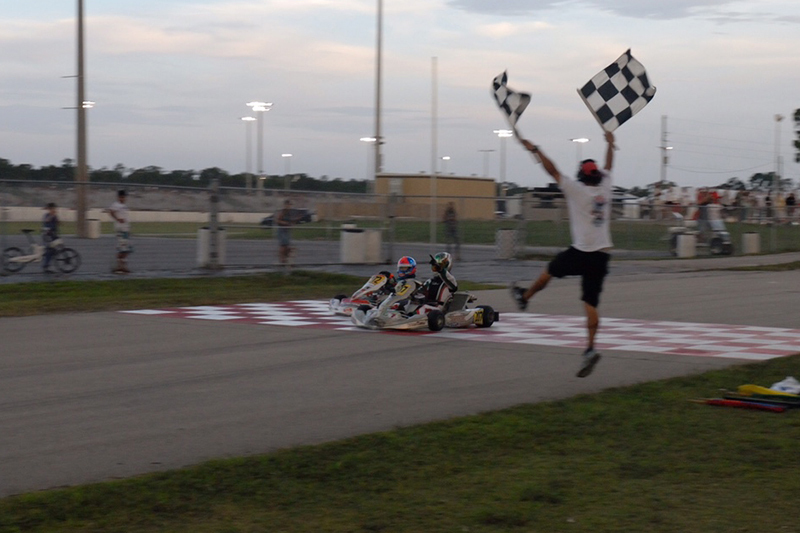 Running under the lights at Palm Beach Karting for a thrilling night race, the GT7 Motorsports driver added his third main event victory in as many rounds, to take command of the Junior class and the points championship. Taking on Friday practice at the Jupiter, Florida facility in the morning, Gangi Jr. learned a new track layout during the day’s sessions. Battling rainy conditions on Friday, and knowing that overall conditions would change for the racing action to come in the evening, Gangi Jr. was up to the task. Clocking second quick in the timed session for qualifying on Friday night, the multi-time karting champ had the speed needed to be successful in the three heats to follow. 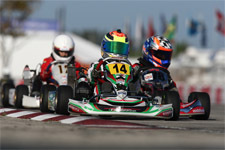 Enduring a disappointing DNF in the first heat, Gangi Jr. bounced back in heat two to come home second. Heat three saw Gangi Jr. back in fifth for the final on track session of the evening. After enjoying an afternoon lunch party courtesy of ROK Cup USA on Saturday, the karting hot shoe would put it all on the line for the evening’s prefinal and final. Making a statement with the prefinal victory by more than a five second margin, the GT7 Motorsports/Tony Kart pilot managed to take the final win as well, this time holding off a close competitor in second. 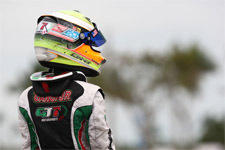 Crossing the stripe with a fireworks celebration and under the lights at Palm Beach, Gangi Jr. took his third feature victory in as many events in ROK Cup USA action. 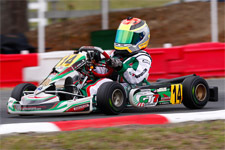 Gangi Jr. will next be on track with the series August 15-16 in Jacksonville, where he hopes to keep his winning streak alive as well as his championship hopes, which come with an invitation to the ROK Cup International Final. Anthony Gangi Jr. would like to thank tuner and driver coach Mike Doty as well as Nate Grindell, Mike Speed, Alex Speed, Mario Ioffredo, Jorge Arellano and everyone at OGP. Gangi Jr. would also like to thank sponsors GT7 Motorsports, Millwork Solutions, Holeshot Chains and Sprockets, PKT, and Hot Head Engine Preheaters for their continued support. 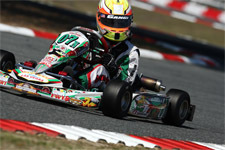 Up next for Anthony Gangi Jr. is the Rotax Summer Shootout this weekend at the Carolina Motorsports Park in Kershaw, South Carolina. 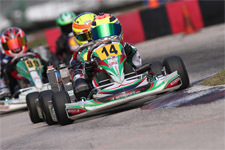 As the unofficial tune up to the 2015 Cold Stone United States Rotax MAX Challenge Grand Finals, which are set for August 5-9, Gangi Jr. will look to get up to speed in advance of the national event. 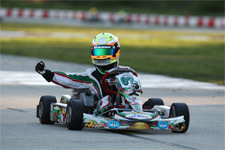 Having earned the US National Championship title in Micro Max in 2010 and Mini Max in 2012, the young gun will work toward his third Rotax national title, this year in the Junior Max class.